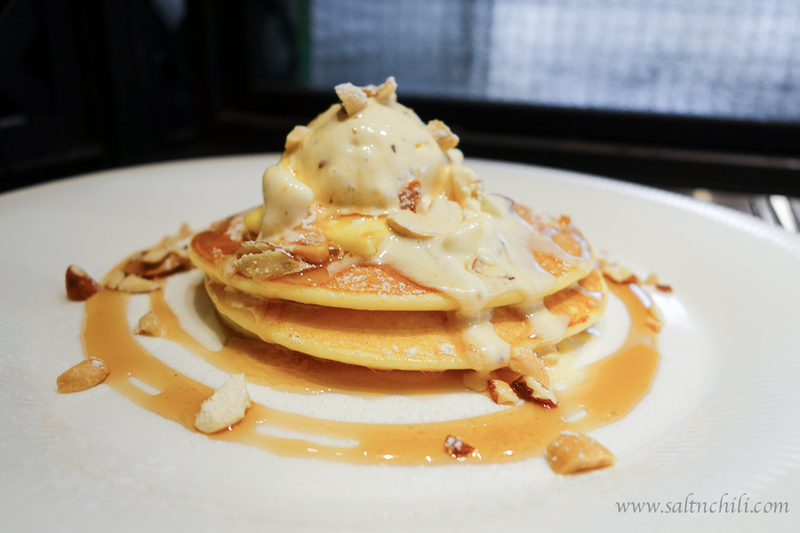 I’m here to share with you another addition to the growing Sai Ying Pun food scene, Stack. Tucked away on the corner of Third Street, this funky joint serves American-style pancakes both day and night. 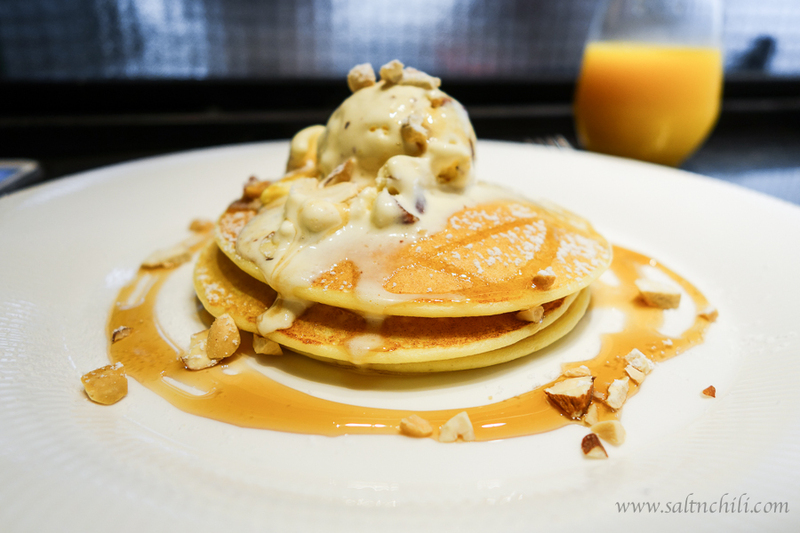 Not to be confused with the typical All Day Breakfast restaurant’s like the Flying Plan, Stack serves a creative dinner menu of sweet and savory pancakes designed to be paired with cocktails. When they first opened they focused on an evening service, but they’ve recently started serving weekend brunches as well. Hubby and I hit Stack earlier this month for an impromptu Sunday brunch, and almost didn’t get a seat because we didn’t make a reservation. This tiny restaurant can accommodate 13-15 patrons at the bar table that wraps around the kitchen, so I would advise you to make a booking ahead of time if you plan on going. They have some sides such as Ovaltine Panna Cotta with Pancakes, Organic Eggplant and Banana Chips. Hubby stuck with the traditional All Day Breakfast and he thought it was pretty average. 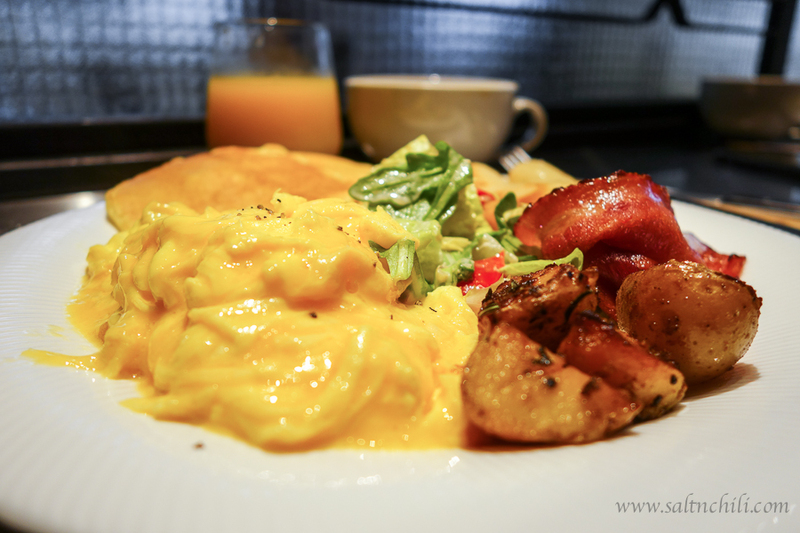 I felt that I had to give them credit for making the scrambled eggs so creamy and running. With pancakes being their speciality, I had to give the traditional Granny Pancakes a try. As you can see, the presentation of my order was stunning and mouth-watering… but, I was disappointed that I wasn’t given a “stack” of pancakes. I was sorta expecting a pile of these babies, and if they just put a bit more height on this dish, it would’ve really made my day. The lack of quantity was definitely made up for in taste. The 3 heavenly golden discs of light and fluffiness were near perfection (I prefer my pancakes to have slight crispness on the outside). The elements of ice cream, syrup and almonds elevated the simplicity of this traditional breakfast item. We also ordered a potato hash to share, but, hubby and I couldn’t agree on the goodness of this side dish. I liked how the crust was slightly burnt with the potatoes still in strands and the added Asian flare of spring onions and shreds of duck. Unfortunately, the fat from the duck made this dish slightly greasy. The sour cream helped cut through the oiliness, so I was willing to overlook this minor flaw. 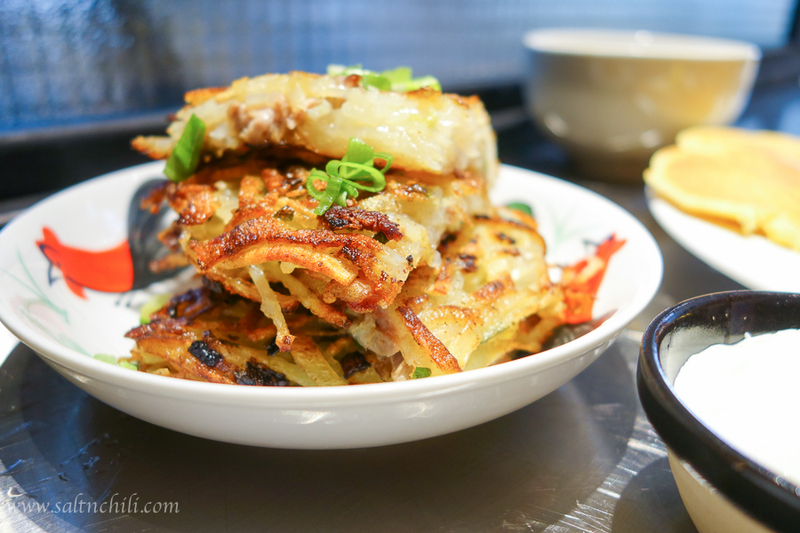 This flavours of this dish reminded me a bit of the Chinese Scallion Pancake (葱油饼). With an order of coffee and an orange juice, the meal set us back ~$440, which is quite pricey for a brunch. 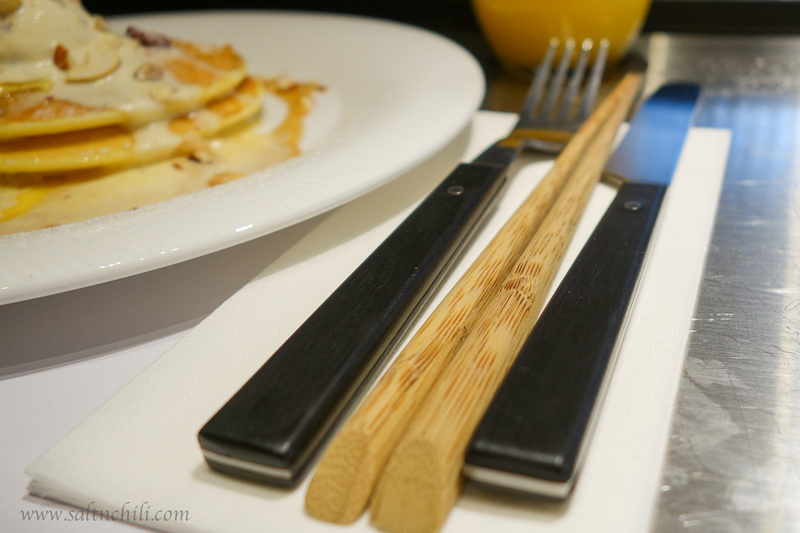 However, I have to admit that I was intrigued with the meal and want to go back to try some of their other brunch items such as the Redwine Grapefruit and Mr. Benedict’s Duck. Hubby didn’t like it as much as I did, so I will need to work on convincing him to go back :).